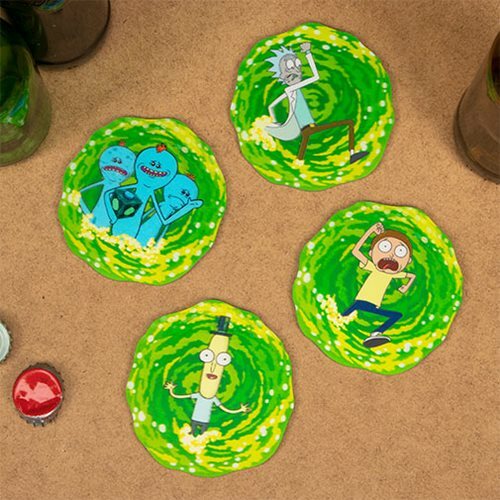 Protect surfaces (in a Universe where solid matter exists) with the Rick and Morty Lenticular Coasters 4-Pack. Inspired by the hugely popular cult TV series, this set contains 4 different 3D character images on a dimensional portal background. 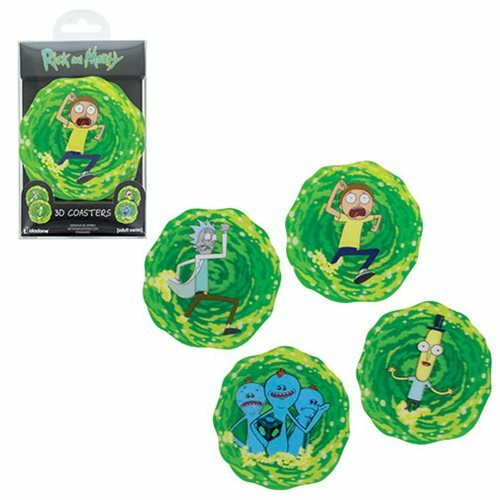 Makes a great gift for Rick and Morty fans!